Although the world of banking and finance is becoming less and less restricted by international borders, the international language barrier can still cause confusion and misunderstanding that can be costly on many levels beyond effects on the bottom line. We can take care of all your financial translation – annual reports, announcements, marketing collateral, product information – ensuring it’s fully compliant with local regulations and completely unambiguous. Our financial and insurance translation services make use of glossaries and translation memories in order to ensure correct terminology is used. As we work with you on a job, we build up a glossary that specifies the translation of technical terms that are suitable for your industry and company. These glossaries automatically enforce the correct translation, as the translator works. The more work we do for you, the richer, more detailed, and more useful these glossaries become, which in turn reduces the turnaround times required for edits. We also work with you to develop a custom ‘translation memory’ to ensure that text repeated throughout your documents – in manuals, or user guides, for example – is always translated in the same way. This technique also helps to reduce your costs and we charge you for previously translated text at a lower rate. We take privacy and confidentiality very seriously. All the documents we handle are protected by strict privacy guidelines. Our clients trust us implicitly with their work and return to us time after time. 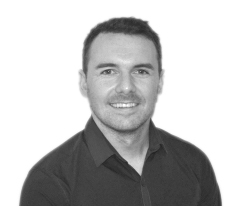 Darren O’Reilly is Head of Localization for our Legal and Finance team, and has over 5 years’ experience in the industry. Darren has a wealth of experience within language services, litigation and regulatory document review services and Virtual Data Room hosting for M&A due diligence. Damian Curley is a Strategic Business Development Manager working in legal and financial services. He loves spending time travelling and learning about new cultures, as well as following his favourite sporting teams.